Royal Elite Select Goose Down pillow with 100% down-proof cotton baffle-box casing to prevent down shifting. Double shell construction for added softness and comfort. Sizes and weights: Standard - 20 x 26" - 20 oz, Queen - 20 x 30" - 23 oz, King - 20 x 36" - 26 oz. Royal Elite Down Combo Pillow with a layer of feathers surrounded by an outer layer of down and a 100% cotton shell. Hypoallergenic. Available in 3 sizes. Size and Weight: Queen - 20 x 30" - 47 oz. 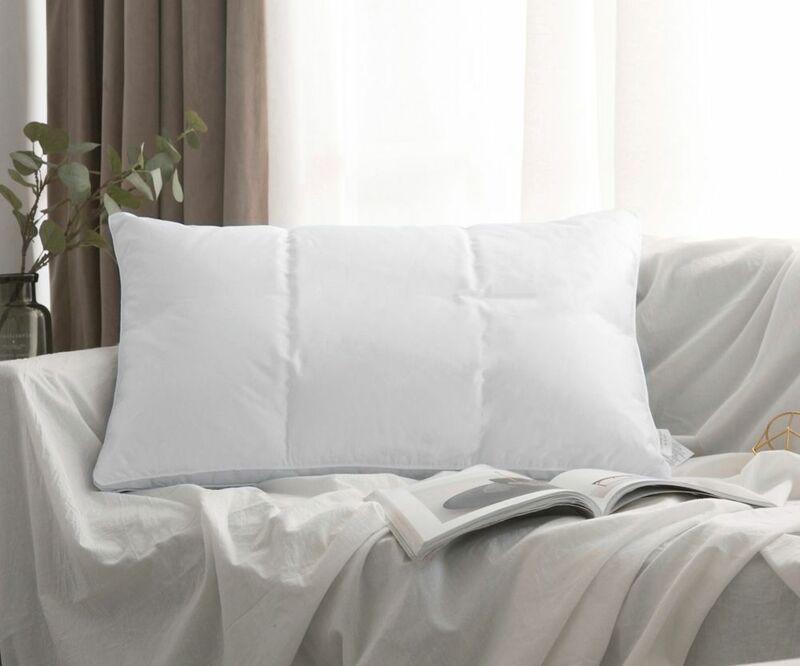 White Goose Down ChamberLock Pillow, Standard20 Royal Elite Select Goose Down pillow with 100% down-proof cotton baffle-box casing to prevent down shifting. Double shell construction for added softness and comfort. Sizes and weights: Standard - 20 x 26" - 20 oz, Queen - 20 x 30" - 23 oz, King - 20 x 36" - 26 oz.